I love what I do and often at the end of a long work day I reflect back on the results of the days labor and think, this is great! It has been my goal to provide my patients with the finest dental care I can provide, while listening to their concerns and desires. I wish to help people understand as much as possible about their oral health, and educate them about what they can do to keep their smile it's best. Dental care involves a lot of personal choice, and often there is more than one way to treat an oral condition or problem. I would like to be a partner with my patients and a guide for them to achieve their own optimal oral health. This means a commitment to personalized care, and the belief that the dentist and the patient together should be responsible for their oral health. I also use the Golden Rule in my relations with my patients. Of course, I enjoy cosmetic dentistry such as bleaching and veneers, like every other dentist in this area does. Every one wants to be known as a cosmetic dentist these days. I received my DDS from the University of California, at San Francisco in 1988, then joined the Army where I served for 6 years as a dental officer. I served mostly in Mannheim Germany but gained valuable experience providing emergency and surgical care for solders and their families while they trained and readied for deployment. Upon returning to California, I served at Fort Ord. After leaving the service I became a partner in a dental group in Santa Cruz, until I decided to open my own office in 1999. I have lived in Scotts Valley for 22 years and I love it here. My wife is a Registered Nurse, Both of my kids attended our local public schools. I am a adjunct clinical instructor for the Cabrillo College Dental Hygiene Program. 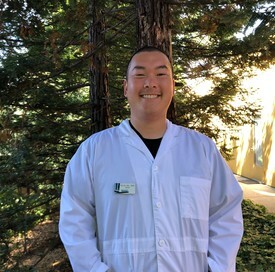 I also have been a volunteer instructor for the dental assisting training program though the Santa Cruz County Regional Occupational Program since 1994. I have participated in providing dentistry to local Veterans and dental health screenings at local schools by members of the Monterey bay Dental Society. I am a member of the Kiwanis of the (SV/SLV) Valleys . I am a member of the American, California, and Monterey Bay Dental Societies, as well as the Scotts Valley Chamber of Commerce. 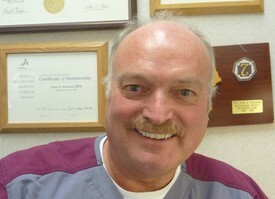 I have served on the board of the Monterey Dental Society. Additionally, I am a member of the Academy of General Dentistry, of the Academy of Osseointegration, and I am a certified CEREC CAD-CAM Provider . I have advanced training in the placement of Lumineers, Invisilign, and the MDI mini implant system. My hobbies include Skiing, jogging, beer making and astronomy.